The Greedy Pinstripes: Shohei Otani the Two-Way Player? That Scare Anyone Else? Shohei Otani the Two-Way Player? That Scare Anyone Else? The New York Yankees and all of Major League Baseball are simply salivating impatiently at the possibility of adding Shohei Otani to their rosters this offseason but at what cost? Don’t get me wrong I am driving the Otani fan club tour bus and I want the Yankees to do almost anything they have to in order to sign the 23-year old “Babe Ruth of Japan” but I would be lying if I said the thought of Otani potentially being a two-player player in the states didn’t scare the absolute crap out of me. The Nippon Ham Fighters have agreed to post Otani this winter and the right-hander has selected Nez Balelo of CAA Sports to represent him so what am I so worried about? It certainly isn’t the potential $20 million posting fee nor is it the roughly $3.25 - $3.5 million in salary for six seasons of control of Otani but it is the fact that any team that signs him will potentially have to offer him the ability to not only pitch, but to hit as well in MLB. Now unless an American League team takes a huge risk and does that, the Yankees included, Otani is all but going to a National League team you would think. Now don’t get me wrong I would let him personally, and I think the Yankees will ultimately let him DH a few games a week when he isn’t pitching, but thoughts of Chein-Ming Wang rounding the bases in Interleague play and essentially destroying his heel and his career in the process are flowing fluidly through my head when I think about the possibility. 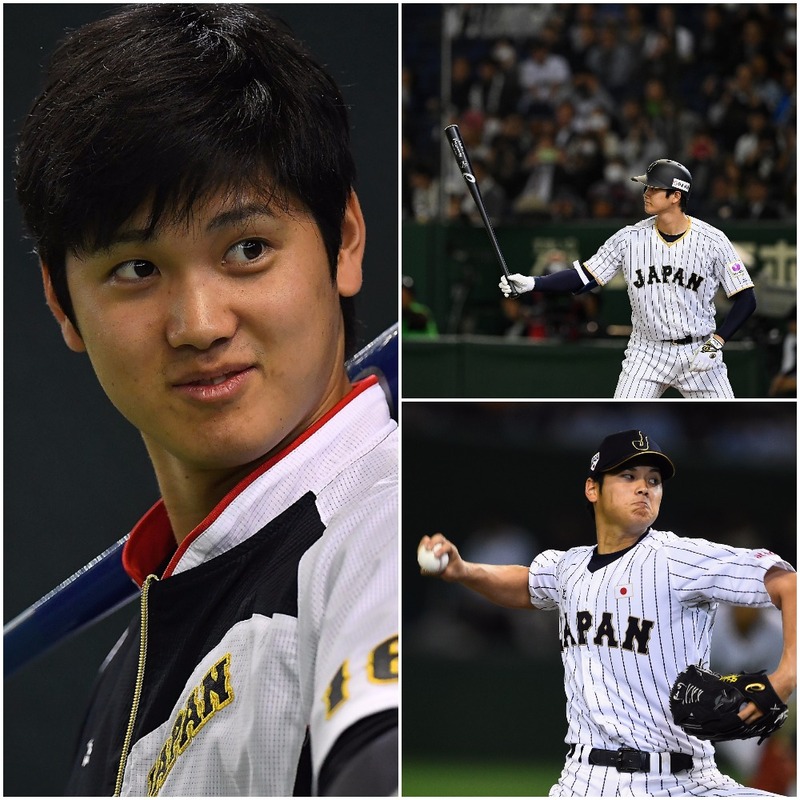 Otani has already hinted at wanting to hit at the Major League level including a quote this week from the USA Today where Otani said “there are still so many things I’m lacking, and I want to put myself in an environment where I can improve. Hopefully I can go to a club that suits my way of thinking.” Translation, I want to hit and pitch and if that’s not okay with you then let me know and I will go elsewhere. At least 15 teams will allow him to hit in some capacity with pitchers hitting for themselves in the National League so the Yankees will have to do something to set themselves apart. With international spending restrictions and such the way they are now the team cannot simply blow everyone and anyone out of the water, the team has to make promises they may not be entirely comfortable with including the possibility of having a two-way player. Now let’s look at things and let’s look at the worst possible scenario, Otani gets hurt. The Yankees, again, would have six years of team control so losing Otani for a season would hurt, but it would not be the end of the world for either party. If Otani were hurt more seriously then the Yankees would merely be out a $20 million posting fee, which is a wash regardless, and less than $4 million in salary. The Yankees have wasted more on less. I’m not saying don’t sign Otani and promise him the world, do it 10 times out of 10, but I can’t say it doesn’t worry me just a tad. Totally get what you're saying and agree for the most part. The only difference I can see is that Wang was a pitcher being forced to run the bases, and Otani is a position player accustomed to running the bases. It's not just running the bases though. How will swinging the bat and throwing the ball from presumably the outfield and all that affect his pitching? They pitch once a week in Japan but every five days here. They use a different size ball here, the competition is better here.They play more games here. He himself says he is an unfinished product and I think he would be better off choosing one field of expertise and not two. All valid points, and I agree, it's very risky. I'm not going to lie though, I'm kinda curious to see if it can be done. Maybe this is the time to see if a 6 man rotation works. Playing the outfield and pitching is a NO, NO. Pitching and hitting for himself would not be a bad thing. I know one guy that played 2nd base and was the closer also. He was a good closer, second basemen and could hit very well. but he only had to get three guys out with his left hand at that. So I would NOT let him play the outfield at all. As his hitting goes, let him hit when he is pitching...IF he still wants too after Cashman explains the facts of life to him.